We spent a great deal of time discussing his unique approach to networking. More on that in a minute. Our hour-long conversation left my head spinning. Nate is a v-e-r-y rare human being. He approaches life with ferocity for sure, but he’s also exceptionally humble. While we were on the phone he mentioned to me that he’d written an open letter to Colin Kaepernick. We discussed his stance, and we hung up. A day later, Nate was standing next to Kaepernick on the sidelines, his letter had gone viral, and I was watching him chat about it onESPN defending Colin’s right to protest. While reflecting on our conversation, I realized that Nate offered advice that I knew I had to apply to my own life, and I knew I had to share here with you. Nate explained that when networking he takes as many meetings with as many people as he possible can. This worked well early on in his career. As the stakes got higher, he realized he wasn’t taking full advantage of the opportunities presented to him. Nate shared that he’s currently working on a top-secret project. He also mentioned that this project in particular was a dream he’d had for years. He could hardly contain his enthusiasm. He also seemed amused that it was all happening. He credited his clarity of vision for his networking success to make his project come to life. Adding “I realized that if I had clarity and a specific answer to that question, things would start to happen.” They did, and they certainly are. As you network, and push to grow your business, get a promotion, or raise funds. 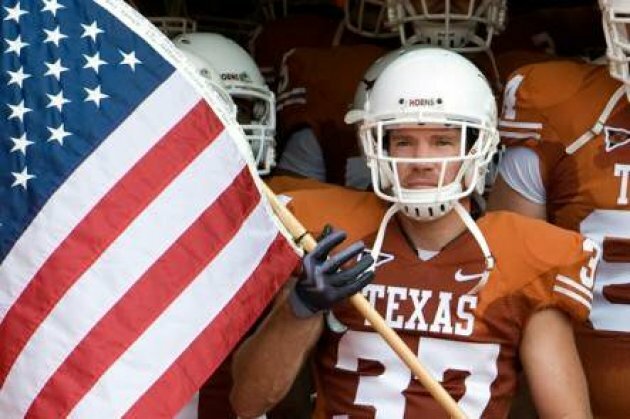 Remember that you have to know the answer to “How can I help you?” Maybe you’ll even start to have magical results like Nate Boyer, former Green Beret and NFL player. If you’d like the first chapter of Remarkable You for free, just head here.